Security is a huge concern for everyone. While you may feel your phone is invulnerable to hackers and viruses, that’s far from the case. And a simple four digit pin isn’t always enough to protect you. But luckily, protecting your phone and your personal information isn’t as scary as it sounds. Here’s a few things you can do right now to help boost your phone’s security. Don’t be scared of updating your phone. Updating your phone allows Apple to give you the latest security measures. Vulnerabilities are discovered all the time and the last thing you want is to have a hacker exploit your outdated operating system. Always update your phone as soon as you can, especially when a new security update is announced. Don’t let your phone fall behind. Worried about your phone becoming compromised? You can enable Erase Data, found in Settings under the Passcode area. If this option is enabled, you can set it to where all your data will be automatically deleted after 10 failed passcode attempts, the ideal solution if your phone is ever lost or stolen. Just make sure you back up all your data ahead of time so you don’t lose your photos and notes forever. Enable iCloud Two-Factor Authorization. Basically, every time you use your iCloud account on a different device, you can set it to where you need to authorize access with another device or another method you’ve preset. It’s definitely handy if you’re like most users and use multiple devices. It’s easy to enable. Just visit the iCloud section in settings to set it up if you haven’t already. A four digit passcode is easy to hack. Use a stronger passcode. You can enable this in Settings under the Passcode area. Use words and symbols to add extra security to your phone. The longer your passcode the better (but make sure you’ve got it written down somewhere just in case you forget). If you’re not using Wi-Fi, make sure you’ve turned off Wi-Fi and Bluetooth. 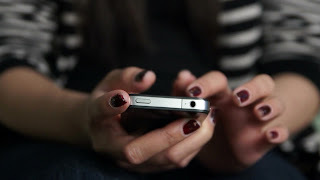 It’s easy for hackers to gain access to your phone with an unsecured connection. Turn off automatic association so your phone doesn’t automatically remember the settings of any Wi-Fi network you’ve previously opted into. Don’t let unsecured Wi-Fi connections make a monkey out of you. You can’t be forced to unlock your phone with a password but you can with a fingerprint by a police officer. Don’t use Touch ID to log into your phone. Instead, use a longer passcode for initial entry and feel free to use Touch ID for other features on your phone. While jailbreaking your phone can allow you to do a lot of neat, new things with your phone, it can compromise the security of your phone by turning off some of your iOS security features. Only jailbreak your phone if you know what you’re doing. After you jailbreak your smartphone you can add some new and interesting apps like Highster Mobile for example, one of the top spy app programs available. Phone tracking apps like this can allow you to monitor things like text messages, call logs, emails and social media. So this text message, phone call, Facebook spy app is incredible useful..
Avoid sending compromising photos or data over your phone. Should a security vulnerability be identified, the last thing you want to do is have information you don’t want the world to see on your phone. Try to avoid using banking apps on unsecured Wi-Fi connections and be very careful about what kinds of information you’re allowing apps to access, especially if these apps are tied in with your social networking apps or are asking for strange privileges that you’re not sure about. The less compromising information that’s on your phone, the better. When I heard about https://9spyapps.com/hidden-call-recorder/, I decided to buy and install it without the knowledge of my children, so I did. One of the reasons is that I had some suspicions about the activity of the older child - I was afraid that he was hanging out with the bad guys, and was not completely sure that he was honest with me when I asked him about some things.